DINNER MENU AVAILABLE 11am TO 8pm. No Early Bird Dining. Make your reservations now! The finest authentic Italian dining and cuisine in Southwest Florida. Trattoria Per Tutti is also available for catering, dining room parties, and take out. Please visit us on Collier Blvd. in Naples Florida for the finest authentic Italian dining and cuisine in Southwest Florida. 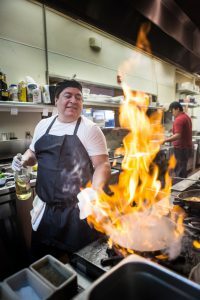 In addition to being the best Italian restaurant in Naples Florida, Gino's Trattoria Per Tutti is also available for catering, dining room parties, and take out.